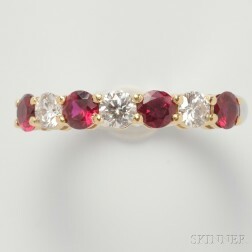 Ruby and Diamond Band, Tiffany & Co., the half hoop set with alternating rubies and diamonds, 18kt gold and platinum mount, size 5 3/4, signed. 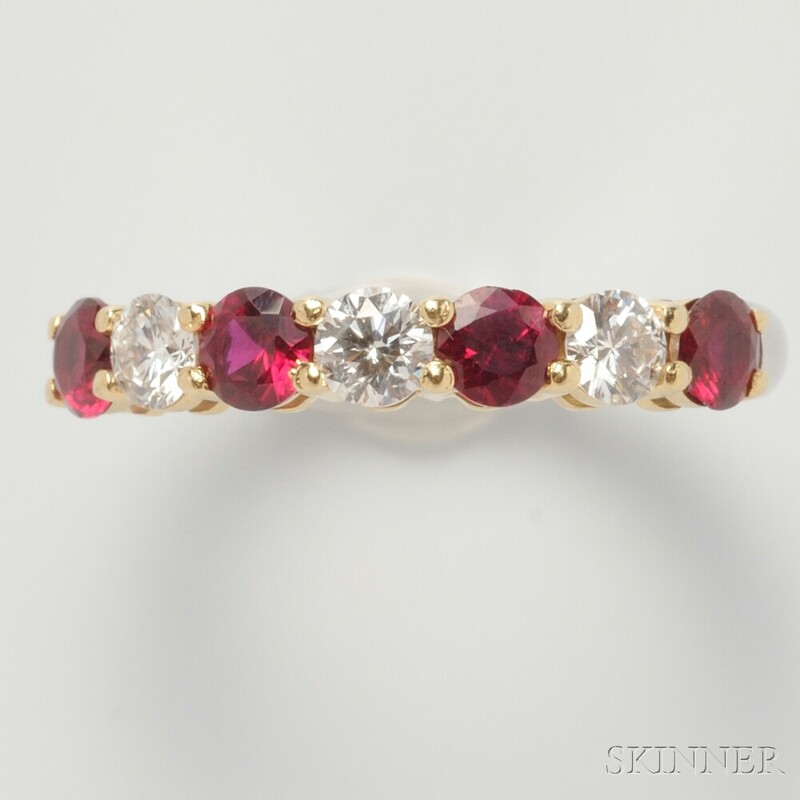 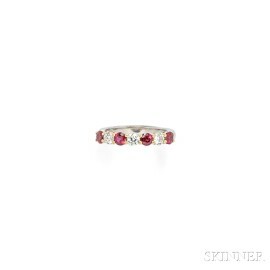 Rubies good medium dark color, one with edge nicks to girdle, not obtrusive, diamonds VS near colorless. Overall minor wear.